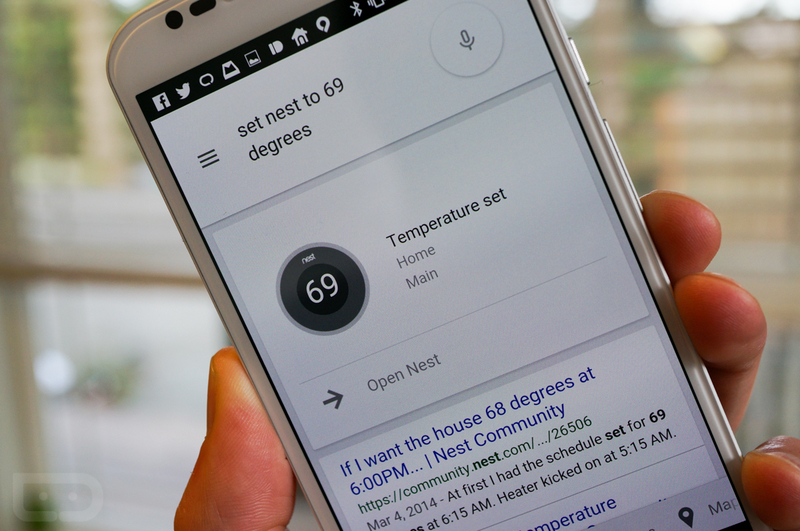 On Friday, we broke word that you were one step away from being able to control your Nest Thermostat using your voice in the Google Search app. As of this morning, the feature is live (pictured above). That’s right, the opt-in authorization pages that were 404-ing on Friday are now letting you move through to give “Works with Nest” the approval it needs in order to work with Google. In order to set it up, make sure you own a Nest (sorry, had to). From there, go into Google Search, tap on the microphone, and then say “set temperature” to whatever temperature you want on your Nest. It should prompt you with a failure notice, which is fine. All you need to do then is tap the “Works with Nest” button below the failure message to be directed to the opt-in page. From there, you will be taken through a number of steps to give Google the permission it needs to work with Nest. If that doesn’t seem to be working, feel free to set it up from a computer at this page. As we mentioned on Friday, there are two options. 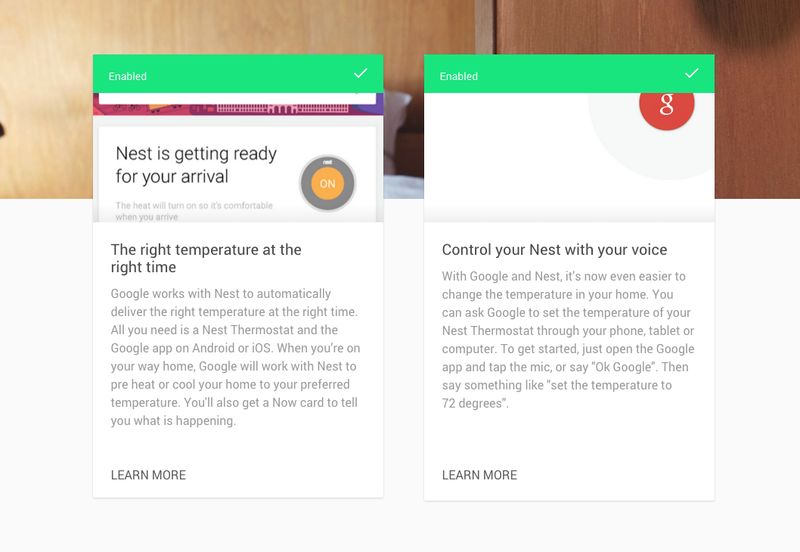 One allows you to do simple things like set the temperature or change your Nest to “away.” The other, involves a much more automated system that tries to intelligently set your Nest to preferred temperature should Google notice that you are on your way home. I should point out that temperature control is currently working, but setting to “away” does not seem to be. Also, the authorization pages are pretty hit or miss at this particular moment. Give them some time – Google will likely iron out all of the kinks before long. Update: Google has made this all official through Twitter by linking to a setup page that talks you through the entire “Works with Nest” integration. To read more, head over to this post.